While birthdays may begin to feel routine at a certain point, they never have to be boring. Many of us throw birthday parties at parks, in event spaces, or in our own homes. Not often do guests expect a food truck to arrive. Imagine the surprise and excitement that would bring! 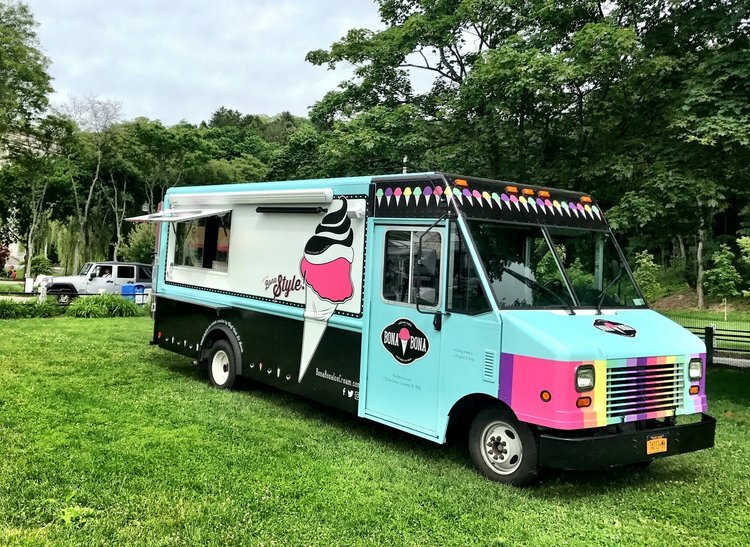 Food trucks aren’t just for big corporate parties or festivals, they can be booked for your own personal pleasure at an intimate event of any size. Does your friend have a favorite food truck? And does he or she love a good birthday surprise? NYFTA will bring their favorite vendor straight to their front door. I have never met a single person who doesn’t like ice cream. It’s a fun and delicious dessert snack loved across all ages. Bona Bona Ice Cream is run by Chef Nick Di Bona, who owns Madison Kitchen. Expect fresh ingredients and original and exciting flavors, like Rainbow Cookie, Nutella Smores, and Holy Cannoli. This truck has a fantastic party option. You pick five flavors and five toppings and choose between milkshakes, sundaes, or just plain old scoops of ice cream. This truck specializes in fresh baked mini donuts with a unique, and sometimes hilarious twist. My favorite is The Hangover, a scrumptious donut with a maple syrup glaze covered in bacon pieces. You may not want to book this truck for a friend if he is watching his cholesterol, but for anyone else, I promise they won’t be disappointed. Desserts are wonderful, but if your loved one likes savory more than sweet, then I recommend the Red Hook Lobster Pound truck. Lobster is almost universally enjoyed. Who wouldn’t want a lobster roll on their birthday? It’s the quintessential East Coast snack. Just imagine your party snacking on lobster mac and cheese in this lovely spring weather. Take a look at our other vendors, too, This is only a small slice of what the New York Food Truck Association has to offer.